But even if this slight advantage of organic, grass fed animals were shown to be true, this hardly justifies its being of interest for the general public. There is no possibility to find land, water and other resources to meet the current demand for such products. Because this argument is so obvious for anyone who gives it any thought, I have often wondered about the motivations of those people who promote grass-fed animal agriculture. For background, it should be noted that Dr. Mercola's views, when he says that The China Study is "seriously flawed", parallel very closely those of the Weston A Price Foundation (WAPF), a Washington-based agricultural lobbying group, who asserts, among other claims, that high cholesterol diets are healthy even beneficial and who not surprisingly support the consumption of raw un-pasteurized, un-homogenized grass-fed beef and other animal-based food products. They also, perhaps to be politically correct, recommend the consumption of fruits and vegetables but in a way that is virtually meaningless. They rely heavily on a personal survey that a dentist, Weston Price, did during the 1920s and 1930s when he visited a total of 14 indigenous peoples in various parts of the world to examine and photograph their dental health (dental caries and dental arch formation). However, by principally relying on Price's findings, WAPF goes far beyond what Price actually did. They would have us believe that he published extensive data to support the health value of cow's milk and high cholesterol animal based foods and, further, that he 'discovered' a fat soluble factor in milk that is likely responsible for these healthy effects of cow's milk. I read his book and there are no data that Price accumulated, tabulated and interpreted to support that view. Indeed, the so-called fat soluble factor was noted at a time during the early days of vitamin discoveries when little was known about their metabolism and biochemically functional effects, except that they divided into water and fat soluble substances. Although I find it difficult at times to 'debate' people whose professional views are aligned with compromising commercial interests and who have no professional experience in peer-reviewed original research (except for a few letters to the editor, I find no evidence that Dr. Mercola, for example, has successfully submitted his findings to the critical review of peers), I must turn my attention to the substance of his criticisms. They are general and far ranging but the main points seem to be as follows. The adverse effects of animal protein, as illustrated in our laboratory by the effects of casein, are related to their amino acid composition, not to the effects of pasteurization, homogenization, or of the presence of hormones, pesticides, etc. Even though pasteurization and homogenization may cause slight changes in the physical characteristics of proteins, I know of no evidence where amino acid contents are altered by these treatments. This is important because it shows that there will be no difference in the biological effects of animal based protein from grass-fed or feed lot fed animals. Moreover, the casein that we used in our extensive experiments was before hormones were introduced and before factory farming became the norm, thus it mostly represented animals that were grass fed. There have been many different kinds of studies for well over a half century showing that animal and plant based proteins differ in their nutritional response because of differing amino acid compositions that have nothing to do with pasteurization, homogenization or contamination with foreign chemicals. These differences in nutritional response can be diminished simply by making up for any limiting amino acids. In our case, for example, we found that casein was a powerful promoter of experimental cancer (in dozens of experiments over a period of more than 30 years) and that this effect was attributed to a large number of highly integrated biochemical reactions and physiological responses. Two of the more prominent of these biochemical/physiological responses concern the production of growth hormones and an elevation in body acid load (metabolic acidosis) that impacts a number of critical enzyme activities. Wheat and soy proteins for example did not stimulate cancer development and when wheat protein, which is deficient in the amino acid lysine, was replenished with lysine, it acted just like casein. There have been literally thousands of studies going back many decades showing a similar effect of animal and plant based proteins on body growth and other events associated with body growth--all resulting from their differences in amino acid compositions. These differences have long been described by the concept of "biological value" or, perhaps, "protein efficiency ratio", which served as a starting point for my own research that started with my doctoral dissertation research more than 50 years ago. I should also mention that my own experimental research proceeded beyond the singular effects of animal protein. 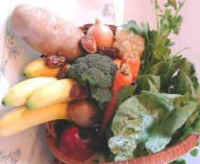 Moreover, as we proceeded through the years (all supported by NIH funding and documented in several hundred publications in well known professional journals) to include experimental studies on other nutrients, other mechanisms and other health/disease outcomes, the findings only became more provocative and convincing that a diet comprised of plant-based foods created the best health on virtually all accounts. These plant-based effects in humans are unusually profound, broad and rapid. I mostly reject what Dr. Mercola and those at WAPF are claiming. While it may seem reasonable to assume that grass-fed animal products compared with feed-lot animal products are somewhat healthier on some accounts (perhaps due to a slightly healthier fatty acid composition and a minimal level of tissue antioxidants derived from the plants being consumed), they do not come close to the health value of plant based products. But even if this slight advantage of organic, grass fed animals were shown to be true, this hardly justifies its being of interest for the general public. There is no possibility to find land, water and other resources to meet the current demand for such products. Because this argument is so obvious for anyone who gives it any thought, I have often wondered about the motivations of those people who promote grass-fed animal agriculture. When I look a little more closely, I can find either commercially compromised interests and/or a deep and very personal reluctance to find fault with animal based food products. I do want to emphasize however that I do not wish to demean Dr. Mercola's motivations. He is very enthusiastic, appears to be sincere and simply believes his views. You might be interested to know that he is a graduate of Cornell and actually took my upper class nutritional biochemistry class. But this was in the early 1980s when I was still teaching the fancy biochemical stuff of nutrients that could lead people to take a reductionist approach to nutrition understanding which is much more financially rewarding than the path that I took.